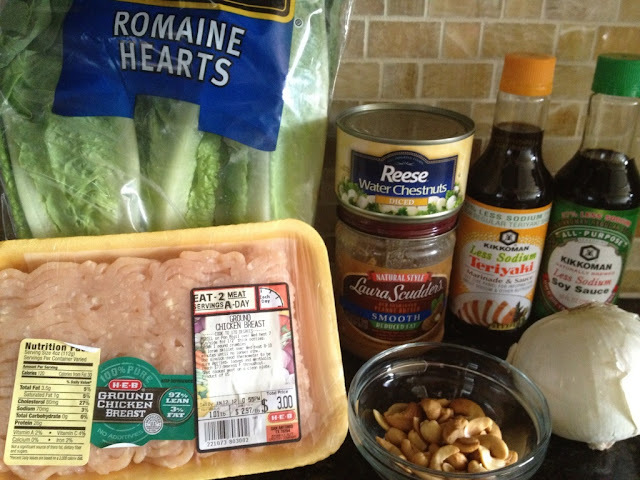 This recipe actually came from the trainers on the Biggest Loser. 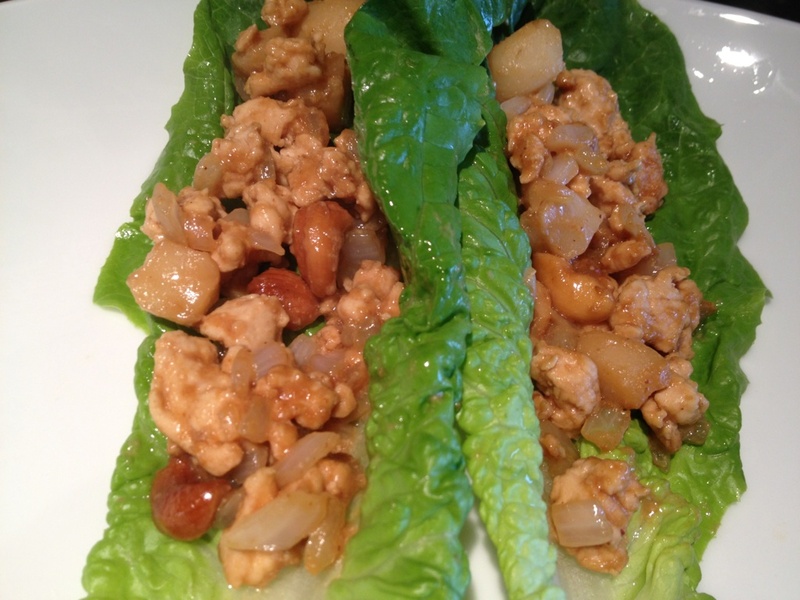 These lettuce wraps were delicious and very easy to make. 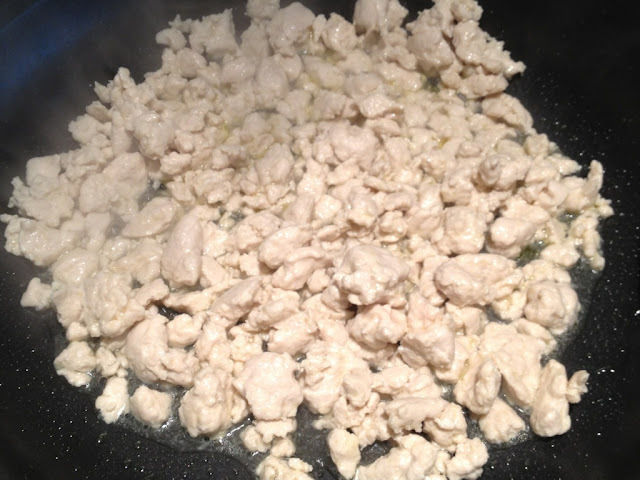 I made the unfortunate mistake of serving these by themselves so we were still hungry afterwards! 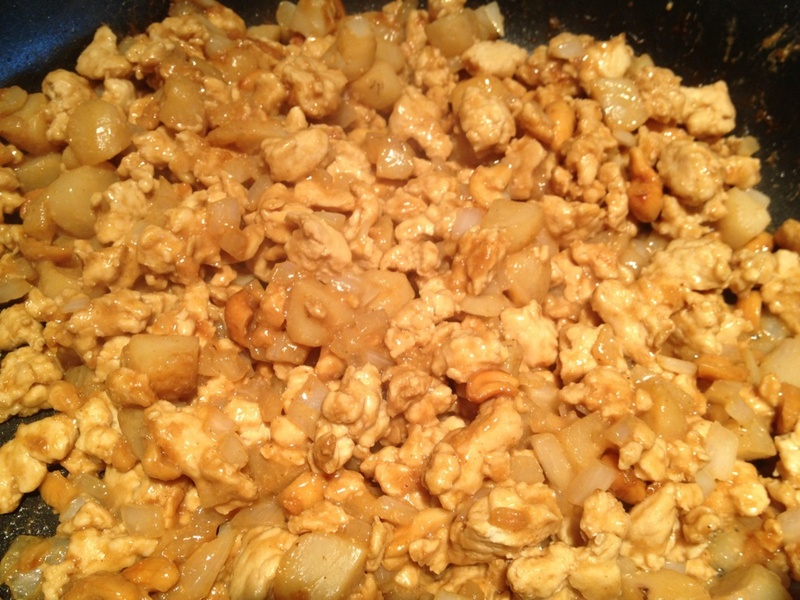 I think if you served these with brown rice, this would make one gratifying dinner. These would also be fun for appetizers but kind of messy, so make sure to serve them with a napkin and fork! 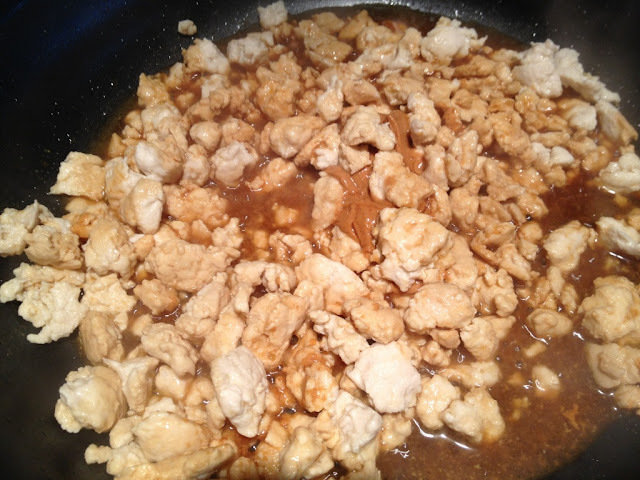 Add peanut butter, soy sauce; and teriyaki sauce to the chicken until well mixed. Add water chestnuts, onions; and cashews.